Maintain accuracy and accountability in temporary site applications with the RoughDeck AX. This portable, economical option for vehicle and truck weighing is built tough, using time-tested Rice Lake construction. 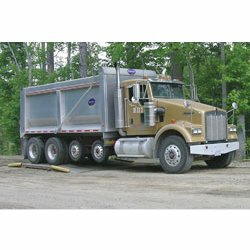 Provides a durable and consistent scale for monitoring overloaded and under loaded axle weight. Maintain accuracy and accountability even in temporary site applications with the RoughDeck® AX. This portable, economical option for vehicle and truck weighing is built tough, using time-tested Rice Lake construction. The RoughDeck AX provides a durable and consistent scale for monitoring overloaded and under loaded axle weight. The RoughDeck AX system includes four on/off ramps and two treaded top plate platforms. Two tandem scale platforms provide axle capacity measurement up to 60,000 pounds. Combined with the TuffSeal® Signal Trim junction box and Survivor EL147HE cable, the RoughDeck AX system is the ideal portable solution for onsite vehicle weighing.